Our programme consists of 165 celebration days, each of which will be dedicated to one of the 165 most important Dadaist, and shall be complemented by the exhibition «Obsession Dada». Support us in making this exhibition happen and you will receive in return a free holiday allowing you to orgiastically devote yourself to the useless and to the birds, to celebrate the nothingness. Display your behavioural problems, do nothing. Swiss curator Harald Szeemann (1933-2005) dedicated himself to art and exhibition making in an obsessive manner. 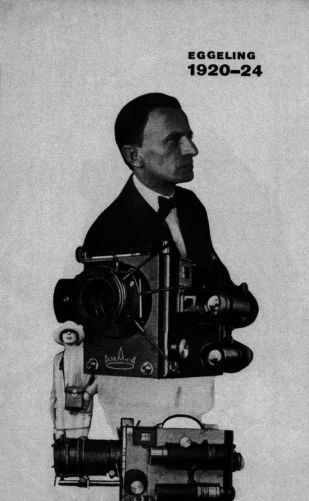 Many of his exhibitions focused on Dada or its offspring. In collaboration with artist Una Szeemann we will comb through the archives of Harald Szeemann at Getty Museum in Los Angeles to track down this obsession of his and develop an exhibition and a publication (Opening: 5 February 2016). For the realisation of this exhibition we are still lacking CHF 100’000 which we are trying to finance by this campaign. We depend on your support to realize this very special exhibition. By supporting this campaign, you do not only help us in making our project happen, by doing so, you help yourself: You secure for yourself a day dedicated to the nothingness while actively contributing to an orgiastic programme of happenings, actions, parties, events, exhibitions and publications. We offer you nothing. But you will be given a personal holiday dedicated to the nothingness – annually. 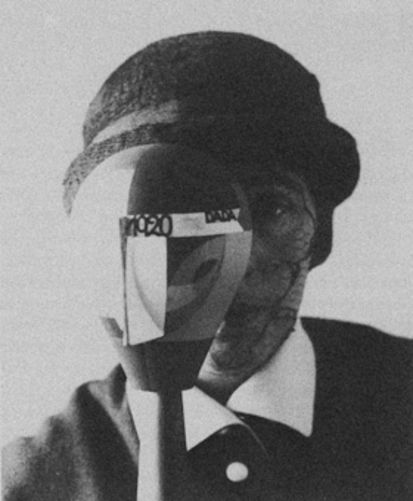 We dedicate one day to each of the 165 Dadaists whose biographies and works we researched and published in 2013. Be part of this legendary happening and enjoy your personal holiday. Not on Easter or on 1 May when everyone else does too, celebrate your very own personal holiday. Do nothing, be useless, it’s the only thing that will really change the world. The 165 days of celebration at the occasion of the 100th anniversary of Dada are meant to become a legendary event, a gesture of gladiators, similar to the original Cabaret Voltaire – a reproduction of a legendary time allowing artists and audience to act out their obsessions. The Über-Dadas consist of renowned personalities such as Albert Einstein, Charlie Chaplin, Buster Keaton, Lenin or Sigmund Freund. In case you decide for one of the Über-Dada-days, you will be surprised by a happening dedicated to the Über-Dada you chose: We assist you in analysing your dreams, take you to the casino or we will help you to discover your talent in boxing. 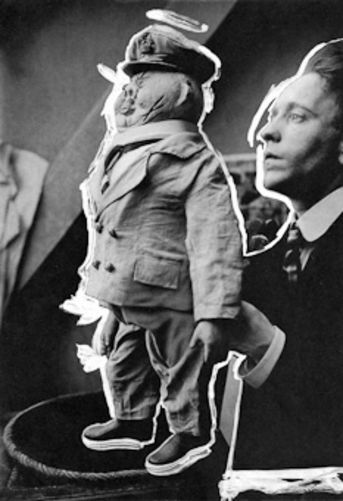 The Dada Presidents among Marcel Duchamp, Sophie Taeuber Arp, Tristan Tzara, Hannah Höch, André Breton, Dada Baroness or Francis Picabia formed the core of Dada and are responsible for its ideas and concept. These two categories are summed up to the Dada Soldiers. They represent Dadaist cities such as Paris, New York, Berlin and, of course, Zurich. Each day the Dada Bank of the association Dada100Zuerich2016 doubles the total amount of the past 24h. It will do so until the goal of CHF 100’000 is reached and by doing so, the Dada Bank cooperates with you to help making this special exhibition happen. This project ended successfully on 25/11/2015 17:00! You will receive a set of postcards featuring portraits of the seven originators of Dada in our «100 years of Dada anniversary packaging». You chose the Savon Dada, also known as «Steckenpferd Seife», which originally was a product of Bergmann&Co from 1906. We reproduced it in the original lily milk scent. Soap yourself in Dada, wash yourself with Dada, smell like Dada, be clean with Dada! + a postcard featuring the only picture of the original Cabaret Voltaire, painted by Marcel Janco in 1916. 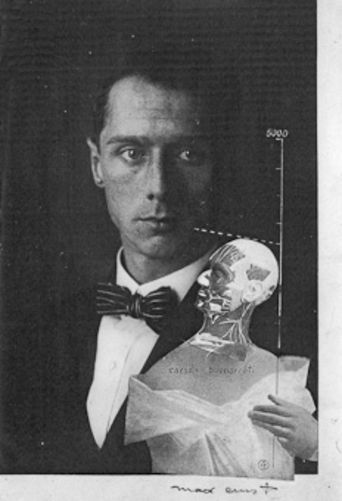 You will be given the Dada spirit-starter kit containing the Dada Guide (2015), a postcard of Hugo Ball in his cubistic costume (1916) signed by the Director of Cabaret Voltaire and a bottle of 2dl Dada Absinth, brewed by Cabaret Voltaire. An exclusive entry ticket for the pre-opening of the special exhibition «Obsession Dada» on 5 February 2016. 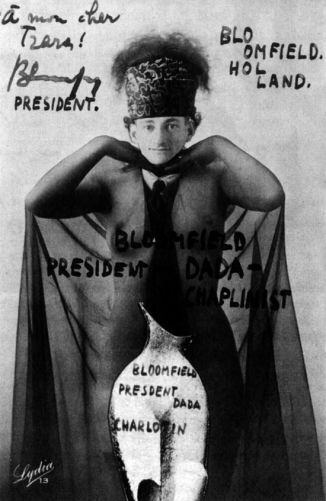 Join in among our Dada-friends. 11.5.2016 – Fritz Bupbacher / Dada Soldier: You will enjoy a personal holiday to celebrate the nothingness in the name of Dada, the psyche and God! At the occasion of your holiday we will hold a Divine Office on 11.5.2016 at 6:30 am dedicated to you and your Dadaist. 5.2.2016 – Armada von Dulgedalzen / Dada Soldier: You will enjoy a personal holiday to celebrate the nothingness in the name of Dada, the psyche and God! At the occasion of your holiday we will hold a Divine Office at 6:30 am dedicated to you and your Dadaist. 6.2.2016 – Friedrich Glauser / Dada Soldier: You will enjoy a personal holiday to celebrate the nothingness in the name of Dada, the psyche and God! At the occasion of your holiday we will hold a Divine Office at 6:30 am dedicated to you and your Dadaist. 7.2.2016 – Jacques Rigaut / Dada Soldier: You will enjoy a personal holiday to celebrate the nothingness in the name of Dada, the psyche and God! At the occasion of your holiday we will hold a Divine Office at 6:30 am dedicated to you and your Dadaist. 8.2.2016 – Fried Hardy Worm / Dada Soldatin: You will enjoy a personal holiday to celebrate the nothingness in the name of Dada, the psyche and God! At the occasion of your holiday we will hold a Divine Office at 6:30 am dedicated to you and your Dadaist. 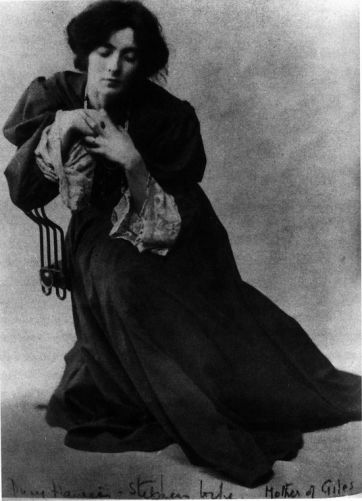 10.2.2016 – Mina Loy / Dada Soldier: You will enjoy a personal holiday to celebrate the nothingness in the name of Dada, the psyche and God! At the occasion of your holiday we will hold a Divine Office at 6:30 am dedicated to you and your Dadaist. 11.2.2016 – Mary Louise Arensberg / Dada Soldier: You will enjoy a personal holiday to celebrate the nothingness in the name of Dada, the psyche and God! At the occasion of your holiday we will hold a Divine Office at 6:30 am dedicated to you and your Dadaist. 12.2.2016 – Maja Chrusecz / Dada Soldier: You will enjoy a personal holiday to celebrate the nothingness in the name of Dada, the psyche and God! At the occasion of your holiday we will hold a Divine Office at 6:30 am dedicated to you and your Dadaist. 13.2.2016 – Dragan Aleksic / Dada Soldier: You will enjoy a personal holiday to celebrate the nothingness in the name of Dada, the psyche and God! At the occasion of your holiday we will hold a Divine Office at 6:30 am dedicated to you and your Dadaist. 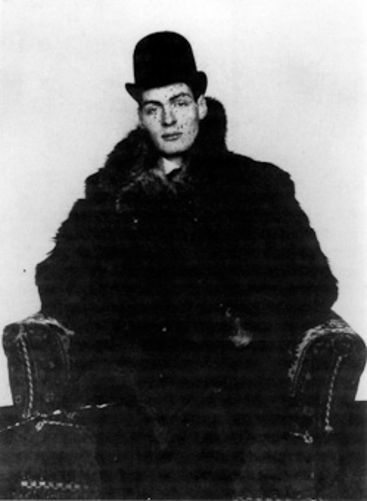 15.2.2016 – Erwin Blumenfeld / Dada Soldatin: You will enjoy a personal holiday to celebrate the nothingness in the name of Dada, the psyche and God! At the occasion of your holiday we will hold a Divine Office at 6:30 am dedicated to you and your Dadaist. 16.2.2016 – Edgar Varèse / Dada Soldier: You will enjoy a personal holiday to celebrate the nothingness in the name of Dada, the psyche and God! At the occasion of your holiday we will hold a Divine Office at 6:30 am dedicated to you and your Dadaist. 18.2.2016 – Paul Citroen / Dada Soldier: You will enjoy a personal holiday to celebrate the nothingness in the name of Dada, the psyche and God! At the occasion of your holiday we will hold a Divine Office at 6:30 am dedicated to you and your Dadaist. 20.2.2016 – Constantin Brancusi / Dada Soldier: You will enjoy a personal holiday to celebrate the nothingness in the name of Dada, the psyche and God! At the occasion of your holiday we will hold a Divine Office at 6:30 am dedicated to you and your Dadaist. 23.2.2016 – Kazimir Malewitsch / Dada Soldier: You will enjoy a personal holiday to celebrate the nothingness in the name of Dada, the psyche and God! At the occasion of your holiday we will hold a Divine Office at 6:30 am dedicated to you and your Dadaist. 26.2.2016 – Mabel Dodge / Dada Soldier: You will enjoy a personal holiday to celebrate the nothingness in the name of Dada, the psyche and God! At the occasion of your holiday we will hold a Divine Office at 6:30 am dedicated to you and your Dadaist. 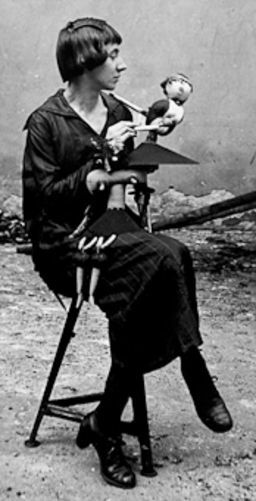 28.2.2016 – Tomoyoshi Murayama / Dada Soldier: You will enjoy a personal holiday to celebrate the nothingness in the name of Dada, the psyche and God! At the occasion of your holiday we will hold a Divine Office at 6:30 am dedicated to you and your Dadaist. 1.3.2016 – Ferdinand Hardekopf / Dada Soldier: You will enjoy a personal holiday to celebrate the nothingness in the name of Dada, the psyche and God! At the occasion of your holiday we will hold a Divine Office at 6:30 am dedicated to you and your Dadaist. 2.3.2016 – Vincente Huidobro / Dada Soldier: You will enjoy a personal holiday to celebrate the nothingness in the name of Dada, the psyche and God! At the occasion of your holiday we will hold a Divine Office at 6:30 am dedicated to you and your Dadaist. 3.3.2016 – Beatrice Wood / Dada Soldier: You will enjoy a personal holiday to celebrate the nothingness in the name of Dada, the psyche and God! At the occasion of your holiday we will hold a Divine Office at 6:30 am dedicated to you and your Dadaist. 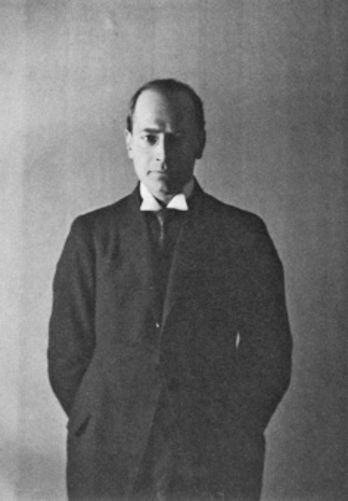 4.3.2016 – Rudolf von Laban / Dada Soldier: You will enjoy a personal holiday to celebrate the nothingness in the name of Dada, the psyche and God! At the occasion of your holiday we will hold a Divine Office at 6:30 am dedicated to you and your Dadaist. 5.3.2016 – Melchior Vischer / Dada Soldier: You will enjoy a personal holiday to celebrate the nothingness in the name of Dada, the psyche and God! At the occasion of your holiday we will hold a Divine Office at 6:30 am dedicated to you and your Dadaist. 6.3.2016 – Paul Eluard / Dada Soldier: You will enjoy a personal holiday to celebrate the nothingness in the name of Dada, the psyche and God! At the occasion of your holiday we will hold a Divine Office at 6:30 am dedicated to you and your Dadaist. 7.3.2016 – Rudolf Schlichter / Dada Soldier: You will enjoy a personal holiday to celebrate the nothingness in the name of Dada, the psyche and God! At the occasion of your holiday we will hold a Divine Office at 6:30 am dedicated to you and your Dadaist. 8.3.2016 – Otto Dix / Dada Soldier: You will enjoy a personal holiday to celebrate the nothingness in the name of Dada, the psyche and God! At the occasion of your holiday we will hold a Divine Office at 6:30 am dedicated to you and your Dadaist. 9.3.2016 – Dr. Maurice Aisen / Dada Soldier: You will enjoy a personal holiday to celebrate the nothingness in the name of Dada, the psyche and God! At the occasion of your holiday we will hold a Divine Office at 6:30 am dedicated to you and your Dadaist. 10.3.2016 – Maria d’Arezzo / Dada Soldier: You will enjoy a personal holiday to celebrate the nothingness in the name of Dada, the psyche and God! At the occasion of your holiday we will hold a Divine Office at 6:30 am dedicated to you and your Dadaist. 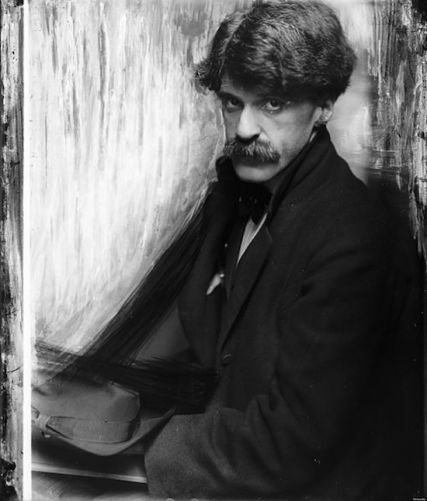 11.3.2016 – Alfred Stieglitz / Dada Soldier: You will enjoy a personal holiday to celebrate the nothingness in the name of Dada, the psyche and God! At the occasion of your holiday we will hold a Divine Office at 6:30 am dedicated to you and your Dadaist. 13.3.2016 – Marius de Zayas / Dada Soldier: You will enjoy a personal holiday to celebrate the nothingness in the name of Dada, the psyche and God! At the occasion of your holiday we will hold a Divine Office at 6:30 am dedicated to you and your Dadaist. 15.3.2016 – Cansino d’Assens / Dada Soldier: You will enjoy a personal holiday to celebrate the nothingness in the name of Dada, the psyche and God! At the occasion of your holiday we will hold a Divine Office at 6:30 am dedicated to you and your Dadaist. 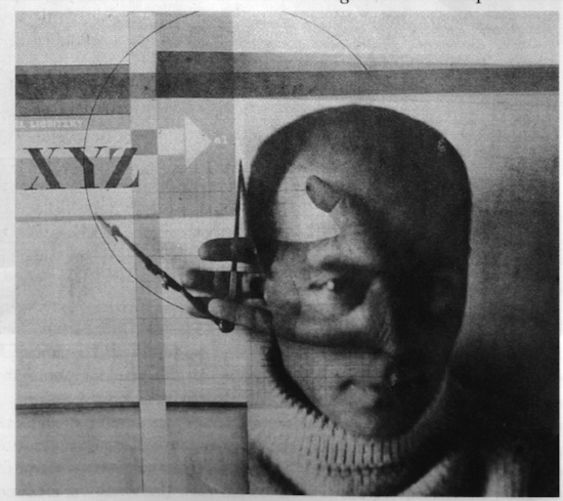 16.3.2016 – El Lissitzky / Dada Soldier: You will enjoy a personal holiday to celebrate the nothingness in the name of Dada, the psyche and God! At the occasion of your holiday we will hold a Divine Office at 6:30 am dedicated to you and your Dadaist. 17.3.2016 – Gabrielle Buffet / Dada Soldier: You will enjoy a personal holiday to celebrate the nothingness in the name of Dada, the psyche and God! At the occasion of your holiday we will hold a Divine Office at 6:30 am dedicated to you and your Dadaist. 19.3.2016 – Angelika Hoerle / Dada Soldier: You will enjoy a personal holiday to celebrate the nothingness in the name of Dada, the psyche and God! At the occasion of your holiday we will hold a Divine Office at 6:30 am dedicated to you and your Dadaist. 20.3.2016 – Iwane Sumiya / Dada Soldier: You will enjoy a personal holiday to celebrate the nothingness in the name of Dada, the psyche and God! At the occasion of your holiday we will hold a Divine Office at 6:30 am dedicated to you and your Dadaist. 21.3.2016 – Edigo Bacchi / Dada Soldier: You will enjoy a personal holiday to celebrate the nothingness in the name of Dada, the psyche and God! At the occasion of your holiday we will hold a Divine Office at 6:30 am dedicated to you and your Dadaist. 22.3.2016 – Ljubomir Micic / Dada Soldier: You will enjoy a personal holiday to celebrate the nothingness in the name of Dada, the psyche and God! At the occasion of your holiday we will hold a Divine Office at 6:30 am dedicated to you and your Dadaist. 23.3.2016 – I.K. Bonset / Dada Soldier: You will enjoy a personal holiday to celebrate the nothingness in the name of Dada, the psyche and God! At the occasion of your holiday we will hold a Divine Office at 6:30 am dedicated to you and your Dadaist. 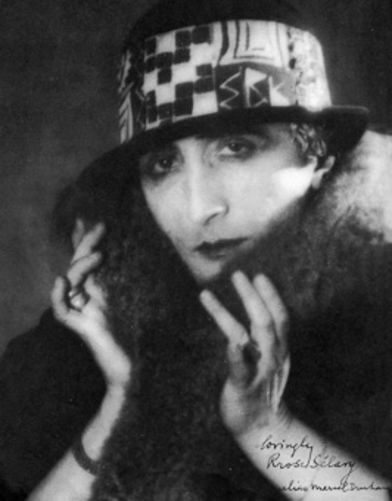 24.3.2016 – Sonia Delaunay-Terk / Dada Soldier: You will enjoy a personal holiday to celebrate the nothingness in the name of Dada, the psyche and God! At the occasion of your holiday we will hold a Divine Office at 6:30 am dedicated to you and your Dadaist. 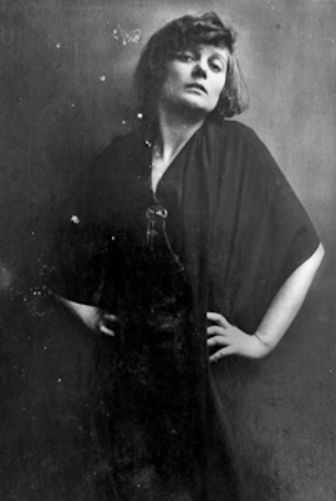 25.3.2016 – Mary Wigman / Dada Soldier: You will enjoy a personal holiday to celebrate the nothingness in the name of Dada, the psyche and God! At the occasion of your holiday we will hold a Divine Office at 6:30 am dedicated to you and your Dadaist. 26.3.2016 – Marguerite Buffet / Dada Soldier: You will enjoy a personal holiday to celebrate the nothingness in the name of Dada, the psyche and God! At the occasion of your holiday we will hold a Divine Office at 6:30 am dedicated to you and your Dadaist. 27.3.2016 – Marcel Slodki / Dada Soldier: You will enjoy a personal holiday to celebrate the nothingness in the name of Dada, the psyche and God! At the occasion of your holiday we will hold a Divine Office at 6:30 am dedicated to you and your Dadaist. 28.3.2016 – Josep Dalmau / Dada Soldier: You will enjoy a personal holiday to celebrate the nothingness in the name of Dada, the psyche and God! At the occasion of your holiday we will hold a Divine Office at 6:30 am dedicated to you and your Dadaist. 29.3.2016 – Alice Bailly / Dada Soldatin: You will enjoy a personal holiday to celebrate the nothingness in the name of Dada, the psyche and God! At the occasion of your holiday we will hold a Divine Office at 6:30 am dedicated to you and your Dadaist. 30.3.2016 – Albert Chemia / Dada Soldier: You will enjoy a personal holiday to celebrate the nothingness in the name of Dada, the psyche and God! At the occasion of your holiday we will hold a Divine Office at 6:30 am dedicated to you and your Dadaist. 3.4.2016 – Germaine Everling / Dada Soldier: You will enjoy a personal holiday to celebrate the nothingness in the name of Dada, the psyche and God! At the occasion of your holiday we will hold a Divine Office at 6:30 am dedicated to you and your Dadaist. 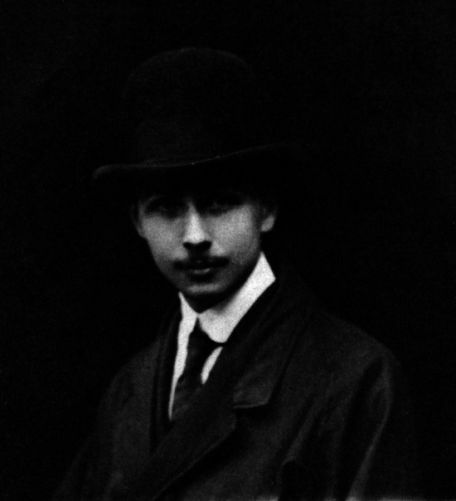 4.4.2016 – Walter Conrad Arensberg / Dada Soldier: You will enjoy a personal holiday to celebrate the nothingness in the name of Dada, the psyche and God! At the occasion of your holiday we will hold a Divine Office at 6:30 am dedicated to you and your Dadaist. 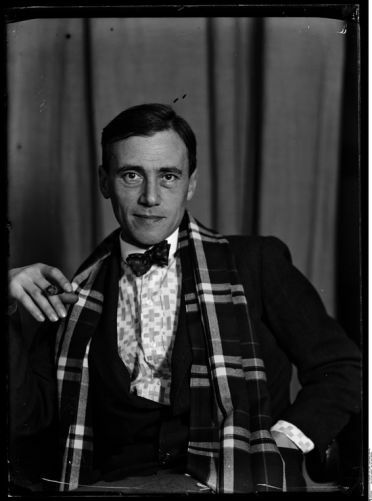 6.4.2016 – Hans Richter / Dada Soldier: You will enjoy a personal holiday to celebrate the nothingness in the name of Dada, the psyche and God! At the occasion of your holiday we will hold a Divine Office at 6:30 am dedicated to you and your Dadaist. 7.4.2016 – Aldo Fiozzi / Dada Soldier: You will enjoy a personal holiday to celebrate the nothingness in the name of Dada, the psyche and God! At the occasion of your holiday we will hold a Divine Office at 6:30 am dedicated to you and your Dadaist. 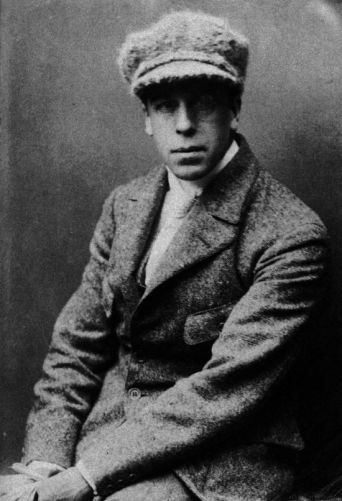 8.4.2016 – Otto Flake / Dada Soldier: You will enjoy a personal holiday to celebrate the nothingness in the name of Dada, the psyche and God! At the occasion of your holiday we will hold a Divine Office at 6:30 am dedicated to you and your Dadaist. 9.4.2016 – Walter Helbig / Dada Soldier: You will enjoy a personal holiday to celebrate the nothingness in the name of Dada, the psyche and God! At the occasion of your holiday we will hold a Divine Office at 6:30 am dedicated to you and your Dadaist. 10.4.2016 – Viking Eggeling / Dada Soldier: You will enjoy a personal holiday to celebrate the nothingness in the name of Dada, the psyche and God! At the occasion of your holiday we will hold a Divine Office at 6:30 am dedicated to you and your Dadaist. 11.4.2016 – Wieland Herzfelde / Dada Soldier: You will enjoy a personal holiday to celebrate the nothingness in the name of Dada, the psyche and God! At the occasion of your holiday we will hold a Divine Office at 6:30 am dedicated to you and your Dadaist. 13.4.2016 – Paul Dermée / Dada Soldier: You will enjoy a personal holiday to celebrate the nothingness in the name of Dada, the psyche and God! At the occasion of your holiday we will hold a Divine Office at 6:30 am dedicated to you and your Dadaist. 14.4.2016 – Guillermo de Torre / Dada Soldier: You will enjoy a personal holiday to celebrate the nothingness in the name of Dada, the psyche and God! At the occasion of your holiday we will hold a Divine Office at 6:30 am dedicated to you and your Dadaist. 17.4.2016 – Ion Vinea / Dada Soldier: You will enjoy a personal holiday to celebrate the nothingness in the name of Dada, the psyche and God! At the occasion of your holiday we will hold a Divine Office at 6:30 am dedicated to you and your Dadaist. 18.4.2016 – Suzanne Duchamp / Dada Soldier: You will enjoy a personal holiday to celebrate the nothingness in the name of Dada, the psyche and God! At the occasion of your holiday we will hold a Divine Office at 6:30 am dedicated to you and your Dadaist. 19.4.2016 – Otto van Rees / Dada Soldier: You will enjoy a personal holiday to celebrate the nothingness in the name of Dada, the psyche and God! At the occasion of your holiday we will hold a Divine Office at 6:30 am dedicated to you and your Dadaist. 21.4.2016 – Théodore Fraenkel / Dada Soldier: You will enjoy a personal holiday to celebrate the nothingness in the name of Dada, the psyche and God! At the occasion of your holiday we will hold a Divine Office at 6:30 am dedicated to you and your Dadaist. 25.4.2016 – Pierre Albert-Birot / Dada Soldier: You will enjoy a personal holiday to celebrate the nothingness in the name of Dada, the psyche and God! At the occasion of your holiday we will hold a Divine Office at 6:30 am dedicated to you and your Dadaist. 26.4.2016 – Carl Einstein / Dada Soldier: You will enjoy a personal holiday to celebrate the nothingness in the name of Dada, the psyche and God! At the occasion of your holiday we will hold a Divine Office at 6:30 am dedicated to you and your Dadaist. 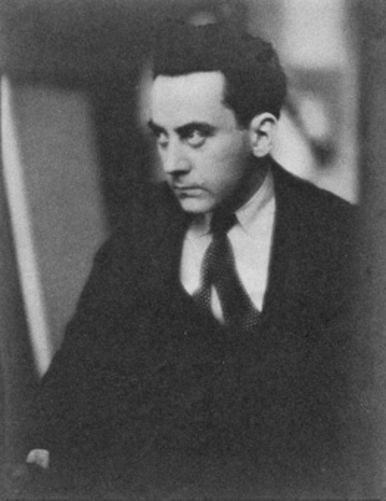 28.4.2016 – Morton Livingston Schamberg / Dada Soldier: You will enjoy a personal holiday to celebrate the nothingness in the name of Dada, the psyche and God! At the occasion of your holiday we will hold a Divine Office at 6:30 am dedicated to you and your Dadaist. 29.4.2016 – Walter Mehring / Dada Soldier: You will enjoy a personal holiday to celebrate the nothingness in the name of Dada, the psyche and God! At the occasion of your holiday we will hold a Divine Office at 6:30 am dedicated to you and your Dadaist. 30.4.2016 – Georg Scholz / Dada Soldier: You will enjoy a personal holiday to celebrate the nothingness in the name of Dada, the psyche and God! At the occasion of your holiday we will hold a Divine Office at 6:30 am dedicated to you and your Dadaist. 1.5.2016 – Clément Pansaers / Dada Soldier: You will enjoy a personal holiday to celebrate the nothingness in the name of Dada, the psyche and God! At the occasion of your holiday we will hold a Divine Office at 6:30 am dedicated to you and your Dadaist. 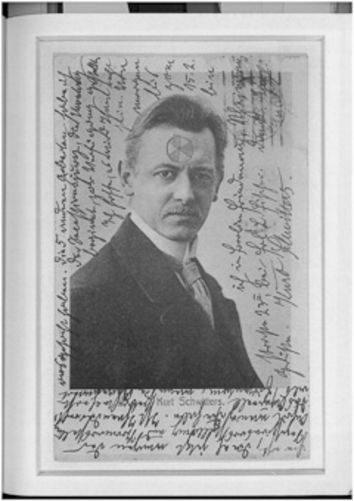 2.5.2016 – Johannes Theodor Baargeld / Dada Soldier: You will enjoy a personal holiday to celebrate the nothingness in the name of Dada, the psyche and God! At the occasion of your holiday we will hold a Divine Office at 6:30 am dedicated to you and your Dadaist. 5.5.2016 – Louis Aragon / Dada Soldier: You will enjoy a personal holiday to celebrate the nothingness in the name of Dada, the psyche and God! At the occasion of your holiday we will hold a Divine Office at 6:30 am dedicated to you and your Dadaist. 7.5.2016 – M. Hartley / Dada Soldier: You will enjoy a personal holiday to celebrate the nothingness in the name of Dada, the psyche and God! At the occasion of your holiday we will hold a Divine Office at 6:30 am dedicated to you and your Dadaist. 8.5.2016 – John Covert / Dada Soldier: You will enjoy a personal holiday to celebrate the nothingness in the name of Dada, the psyche and God! At the occasion of your holiday we will hold a Divine Office at 6:30 am dedicated to you and your Dadaist. 9.5.2016 – Alexis / Dada Soldier: You will enjoy a personal holiday to celebrate the nothingness in the name of Dada, the psyche and God! At the occasion of your holiday we will hold a Divine Office at 6:30 am dedicated to you and your Dadaist. 10.5.2016 – Jacques Edwards / Dada Soldier: You will enjoy a personal holiday to celebrate the nothingness in the name of Dada, the psyche and God! At the occasion of your holiday we will hold a Divine Office at 6:30 am dedicated to you and your Dadaist. 12.5.2016 – Krusenitch / Dada Soldier: You will enjoy a personal holiday to celebrate the nothingness in the name of Dada, the psyche and God! At the occasion of your holiday we will hold a Divine Office at 6:30 am dedicated to you and your Dadaist. 14.5.2016 – Eikichi Yamazato / Dada Soldier: You will enjoy a personal holiday to celebrate the nothingness in the name of Dada, the psyche and God! At the occasion of your holiday we will hold a Divine Office at 6:30 am dedicated to you and your Dadaist. 15.5.2016 – Josep Maria Junoy / Dada Soldier: You will enjoy a personal holiday to celebrate the nothingness in the name of Dada, the psyche and God! At the occasion of your holiday we will hold a Divine Office at 6:30 am dedicated to you and your Dadaist. 16.5.2016 – Francesco Meriano / Dada Soldier: You will enjoy a personal holiday to celebrate the nothingness in the name of Dada, the psyche and God! At the occasion of your holiday we will hold a Divine Office at 6:30 am dedicated to you and your Dadaist. 17.5.2016 – Erik Satie / Dada Soldier: You will enjoy a personal holiday to celebrate the nothingness in the name of Dada, the psyche and God! At the occasion of your holiday we will hold a Divine Office at 6:30 am dedicated to you and your Dadaist. 18.5.2016 – Céline Arnauld / Dada Soldier: You will enjoy a personal holiday to celebrate the nothingness in the name of Dada, the psyche and God! At the occasion of your holiday we will hold a Divine Office at 6:30 am dedicated to you and your Dadaist. 20.5.2016 – Alexander Partens / Dada Soldier: You will enjoy a personal holiday to celebrate the nothingness in the name of Dada, the psyche and God! At the occasion of your holiday we will hold a Divine Office at 6:30 am dedicated to you and your Dadaist. 21.5.2016 – Suzanne Perrottet / Dada Soldier: You will enjoy a personal holiday to celebrate the nothingness in the name of Dada, the psyche and God! At the occasion of your holiday we will hold a Divine Office at 6:30 am dedicated to you and your Dadaist. 23.5.2016 – Hisao Maki / Dada Soldier: You will enjoy a personal holiday to celebrate the nothingness in the name of Dada, the psyche and God! At the occasion of your holiday we will hold a Divine Office at 6:30 am dedicated to you and your Dadaist. 25.5.2016 – Sardar / Dada Soldier: You will enjoy a personal holiday to celebrate the nothingness in the name of Dada, the psyche and God! At the occasion of your holiday we will hold a Divine Office at 6:30 am dedicated to you and your Dadaist. 26.5.2016 – Hapgood / Dada Soldier: You will enjoy a personal holiday to celebrate the nothingness in the name of Dada, the psyche and God! At the occasion of your holiday we will hold a Divine Office at 6:30 am dedicated to you and your Dadaist. 27.5.2016 – Tatsuo Okada / Dada Soldier: You will enjoy a personal holiday to celebrate the nothingness in the name of Dada, the psyche and God! At the occasion of your holiday we will hold a Divine Office at 6:30 am dedicated to you and your Dadaist. 28.5.2016 – Katherine Sophie Dreier / Dada Soldier: You will enjoy a personal holiday to celebrate the nothingness in the name of Dada, the psyche and God! At the occasion of your holiday we will hold a Divine Office at 6:30 am dedicated to you and your Dadaist. 29.5.2016 – Edith Olivié / Dada Soldier: You will enjoy a personal holiday to celebrate the nothingness in the name of Dada, the psyche and God! At the occasion of your holiday we will hold a Divine Office at 6:30 am dedicated to you and your Dadaist. 31.5.2016 – Alexander Archipenko / Dada Soldier: You will enjoy a personal holiday to celebrate the nothingness in the name of Dada, the psyche and God! At the occasion of your holiday we will hold a Divine Office at 6:30 am dedicated to you and your Dadaist. 2.6.2016 – Jacques Vaché / Dada Soldier: You will enjoy a personal holiday to celebrate the nothingness in the name of Dada, the psyche and God! At the occasion of your holiday we will hold a Divine Office at 6:30 am dedicated to you and your Dadaist. 5.6.2016 – Adon Lacroix (Donna Lecoeur) / Dada Soldier: You will enjoy a personal holiday to celebrate the nothingness in the name of Dada, the psyche and God! At the occasion of your holiday we will hold a Divine Office at 6:30 am dedicated to you and your Dadaist. 6.6.2016 – Heinrich Hoerle / Dada Soldier: You will enjoy a personal holiday to celebrate the nothingness in the name of Dada, the psyche and God! At the occasion of your holiday we will hold a Divine Office at 6:30 am dedicated to you and your Dadaist. 7.6.2016 – Adya Van Rees / Dada Soldier: You will enjoy a personal holiday to celebrate the nothingness in the name of Dada, the psyche and God! At the occasion of your holiday we will hold a Divine Office at 6:30 am dedicated to you and your Dadaist. 8.6.2016 – Katja Wulff / Dada Soldier: You will enjoy a personal holiday to celebrate the nothingness in the name of Dada, the psyche and God! At the occasion of your holiday we will hold a Divine Office at 6:30 am dedicated to you and your Dadaist. 9.6.2016 – Theo Van Doesburg / Dada Soldier: You will enjoy a personal holiday to celebrate the nothingness in the name of Dada, the psyche and God! At the occasion of your holiday we will hold a Divine Office at 6:30 am dedicated to you and your Dadaist. 10.6.2016 – Pharamousse / Dada Soldier: You will enjoy a personal holiday to celebrate the nothingness in the name of Dada, the psyche and God! At the occasion of your holiday we will hold a Divine Office at 6:30 am dedicated to you and your Dadaist. 12.6.2016 – Guillaume Apollinaire / Dada Soldier: You will enjoy a personal holiday to celebrate the nothingness in the name of Dada, the psyche and God! At the occasion of your holiday we will hold a Divine Office at 6:30 am dedicated to you and your Dadaist. 13.6.2016 – Joseph Stella / Dada Soldier: You will enjoy a personal holiday to celebrate the nothingness in the name of Dada, the psyche and God! At the occasion of your holiday we will hold a Divine Office at 6:30 am dedicated to you and your Dadaist. 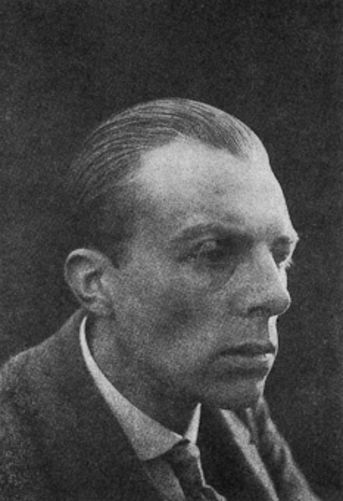 14.6.2016 – Jorge Luis Borges / Dada Soldier: You will enjoy a personal holiday to celebrate the nothingness in the name of Dada, the psyche and God! At the occasion of your holiday we will hold a Divine Office at 6:30 am dedicated to you and your Dadaist. 15.6.2016 – Mac Robber / Dada Soldier: You will enjoy a personal holiday to celebrate the nothingness in the name of Dada, the psyche and God! At the occasion of your holiday we will hold a Divine Office at 6:30 am dedicated to you and your Dadaist. 9.2.2016 – Max Schlichter / Dada Soldier: You will enjoy a personal holiday to celebrate the nothingness in the name of Dada, the psyche and God! At the occasion of your holiday we will hold a Divine Office at 6:30 am dedicated to you and your Dadaist. 17.6.2016 – Christian Schad / Dada Soldier: You will enjoy a personal holiday to celebrate the nothingness in the name of Dada, the psyche and God! At the occasion of your holiday we will hold a Divine Office at 6:30 am dedicated to you and your Dadaist. 18.6.2016 – Georges Ribemont-Dessaignes / Dada Soldier: You will enjoy a personal holiday to celebrate the nothingness in the name of Dada, the psyche and God! At the occasion of your holiday we will hold a Divine Office at 6:30 am dedicated to you and your Dadaist. 21.6.2016 – Augusto Giacometti / Dada Soldier: You will enjoy a personal holiday to celebrate the nothingness in the name of Dada, the psyche and God! At the occasion of your holiday we will hold a Divine Office at 6:30 am dedicated to you and your Dadaist. 23.6.2016 – Alexander Sesqui / Dada Soldier: You will enjoy a personal holiday to celebrate the nothingness in the name of Dada, the psyche and God! At the occasion of your holiday we will hold a Divine Office at 6:30 am dedicated to you and your Dadaist. 24.6.2016 – Carefoot / Dada Soldier: You will enjoy a personal holiday to celebrate the nothingness in the name of Dada, the psyche and God! At the occasion of your holiday we will hold a Divine Office at 6:30 am dedicated to you and your Dadaist. 25.6.2016 – Soubeyran / Dada Soldier: You will enjoy a personal holiday to celebrate the nothingness in the name of Dada, the psyche and God! At the occasion of your holiday we will hold a Divine Office at 6:30 am dedicated to you and your Dadaist. 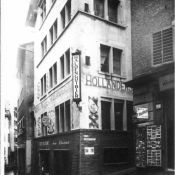 26.6.2016 – René Hilsum / Dada Soldier: You will enjoy a personal holiday to celebrate the nothingness in the name of Dada, the psyche and God! At the occasion of your holiday we will hold a Divine Office at 6:30 am dedicated to you and your Dadaist. 27.6.2016 – Carl Döhmann (Daimonides) / Dada Soldier: You will enjoy a personal holiday to celebrate the nothingness in the name of Dada, the psyche and God! At the occasion of your holiday we will hold a Divine Office at 6:30 am dedicated to you and your Dadaist. 28.6.2016 – Georges Verly / Dada Soldier: You will enjoy a personal holiday to celebrate the nothingness in the name of Dada, the psyche and God! At the occasion of your holiday we will hold a Divine Office at 6:30 am dedicated to you and your Dadaist. 29.6.2016 – Max Goth / Dada Soldier: You will enjoy a personal holiday to celebrate the nothingness in the name of Dada, the psyche and God! At the occasion of your holiday we will hold a Divine Office at 6:30 am dedicated to you and your Dadaist. 30.6.2016 – Hans Heusser / Dada Soldier: You will enjoy a personal holiday to celebrate the nothingness in the name of Dada, the psyche and God! At the occasion of your holiday we will hold a Divine Office at 6:30 am dedicated to you and your Dadaist. 1.7.2016 – Miss Louise Norton / Dada Soldier: You will enjoy a personal holiday to celebrate the nothingness in the name of Dada, the psyche and God! At the occasion of your holiday we will hold a Divine Office at 6:30 am dedicated to you and your Dadaist. 2.7.2016 – Katherin N. Rhoades / Dada Soldier: You will enjoy a personal holiday to celebrate the nothingness in the name of Dada, the psyche and God! At the occasion of your holiday we will hold a Divine Office at 6:30 am dedicated to you and your Dadaist. 3.7.2016 – Serge Charchoune / Dada Soldier: You will enjoy a personal holiday to celebrate the nothingness in the name of Dada, the psyche and God! At the occasion of your holiday we will hold a Divine Office at 6:30 am dedicated to you and your Dadaist. 4.7.2016 – Benjamin Péret / Dada Soldier: You will enjoy a personal holiday to celebrate the nothingness in the name of Dada, the psyche and God! At the occasion of your holiday we will hold a Divine Office at 6:30 am dedicated to you and your Dadaist. 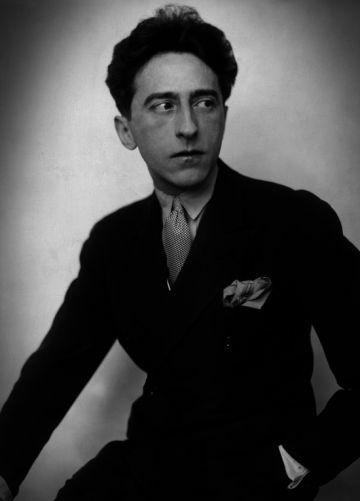 5.7.2016 – Jean Cocteau / Dada Soldier: You will enjoy a personal holiday to celebrate the nothingness in the name of Dada, the psyche and God! At the occasion of your holiday we will hold a Divine Office at 6:30 am dedicated to you and your Dadaist. 6.7.2016 – Philippe Soupault / Dada Soldier: You will enjoy a personal holiday to celebrate the nothingness in the name of Dada, the psyche and God! At the occasion of your holiday we will hold a Divine Office at 6:30 am dedicated to you and your Dadaist. 7.7.2016 – Alfred Vagts / Dada Soldier: You will enjoy a personal holiday to celebrate the nothingness in the name of Dada, the psyche and God! At the occasion of your holiday we will hold a Divine Office at 6:30 am dedicated to you and your Dadaist. 8.7.2016 – Lasso de la Vega / Dada Soldier: You will enjoy a personal holiday to celebrate the nothingness in the name of Dada, the psyche and God! At the occasion of your holiday we will hold a Divine Office at 6:30 am dedicated to you and your Dadaist. 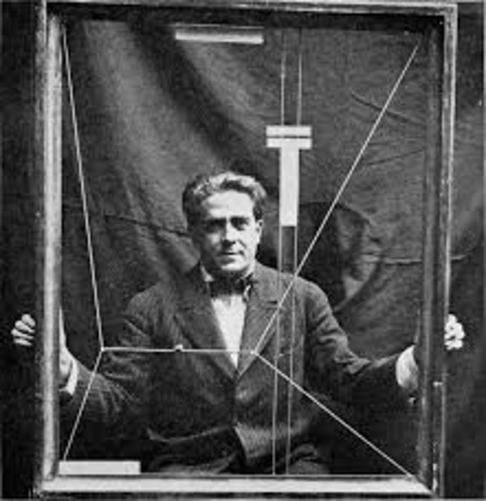 9.7.2016 – Georges Buchet / Dada Soldier: You will enjoy a personal holiday to celebrate the nothingness in the name of Dada, the psyche and God! At the occasion of your holiday we will hold a Divine Office at 6:30 am dedicated to you and your Dadaist. 11.7.2016 – Walter (Pach) Pack / Dada Soldier: You will enjoy a personal holiday to celebrate the nothingness in the name of Dada, the psyche and God! At the occasion of your holiday we will hold a Divine Office at 6:30 am dedicated to you and your Dadaist. 13.7.2016 – Arthur Segal / Dada Soldier: You will enjoy a personal holiday to celebrate the nothingness in the name of Dada, the psyche and God! At the occasion of your holiday we will hold a Divine Office at 6:30 am dedicated to you and your Dadaist. 14.7.2016 – A. Wolkowitz / Dada Soldier: You will enjoy a personal holiday to celebrate the nothingness in the name of Dada, the psyche and God! At the occasion of your holiday we will hold a Divine Office at 6:30 am dedicated to you and your Dadaist. 17.7.2016 – Otho Lloyd / Dada Soldier: You will enjoy a personal holiday to celebrate the nothingness in the name of Dada, the psyche and God! At the occasion of your holiday we will hold a Divine Office at 6:30 am dedicated to you and your Dadaist. 18.7.2016 – F. Haubrich / Dada Soldier: You will enjoy a personal holiday to celebrate the nothingness in the name of Dada, the psyche and God! At the occasion of your holiday we will hold a Divine Office at 6:30 am dedicated to you and your Dadaist. 19.5.2016 – Julius Evola / Dada Soldier: You will enjoy a personal holiday to celebrate the nothingness in the name of Dada, the psyche and God! At the occasion of your holiday we will hold a Divine Office at 6:30 am dedicated to you and your Dadaist. 4.6.2016 – Christian Georges Herbiet / Dada Soldier: You will enjoy a personal holiday to celebrate the nothingness in the name of Dada, the psyche and God! At the occasion of your holiday we will hold a Divine Office at 6:30 am dedicated to you and your Dadaist. 14.2.2016 – Filippo Tommaso Marinetti / Dada Soldier: You will enjoy a personal holiday to celebrate the nothingness in the name of Dada, the psyche and God! At the occasion of your holiday we will hold a Divine Office at 6:30 am dedicated to you and your Dadaist. 1.4.2016 – Otto Griebel / Dada Soldier: You will enjoy a personal holiday to celebrate the nothingness in the name of Dada, the psyche and God! At the occasion of your holiday we will hold a Divine Office at 6:30 am dedicated to you and your Dadaist. 25.2.2016 – Dr. Hans Huber / Dada Soldier: You will enjoy a personal holiday to celebrate the nothingness in the name of Dada, the psyche and God! At the occasion of your holiday we will hold a Divine Office at 6:30 am dedicated to you and your Dadaist. 24.4.2016 – Jean Crotti / Dada Soldier: You will enjoy a personal holiday to celebrate the nothingness in the name of Dada, the psyche and God! At the occasion of your holiday we will hold a Divine Office on 24.4.2016 at 6:30 am dedicated to you and your Dadaist. 27.2.2016 – Marin / Dada Soldier: You will enjoy a personal holiday to celebrate the nothingness in the name of Dada, the psyche and God! At the occasion of your holiday we will hold a Divine Office at 6:30 am dedicated to you and your Dadaist. 24.2.2016 – Franz Jung / Dada Soldier: You will enjoy a personal holiday to celebrate the nothingness in the name of Dada, the psyche and God! At the occasion of your holiday we will hold a Divine Office at 6:30 am dedicated to you and your Dadaist. Secure for yourself and your company (limited to 5 people in total) a VIP-table right in front of the stage at a jubilee event of your choice. You choose what interests you the most! You will be contacted by the end of the campaign and provided with a list of events to choose from (in case one event should be very popular: first come, first serve). By the way: You will be offered a round of Dada Absinth too! Dada President Sophie Taeuber-Arp: You will enjoy a personal holiday to celebrate the nothingness in the name of Dada, the psyche and God on 12 March 2016! You will be given a signed certificate, you are invited to the Divine Office and you will receive a hand-drawn portrait of your favourite Dadaist. 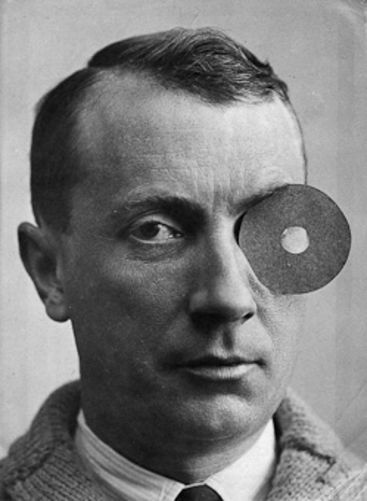 Dada President Jean Arp: You will enjoy a personal holiday to celebrate the nothingness in the name of Dada, the psyche and God on 3 June 2016! You will be given a signed certificate, you are invited to the Divine Office and you will receive a hand-drawn portrait of your favourite Dadaist. Dada President Johannes Baader: You will enjoy a personal holiday to celebrate the nothingness in the name of Dada, the psyche and God on 3 June 2016! You will be given a signed certificate, you are invited to the Divine Office and you will receive a hand-drawn portrait of your favourite Dadaist. Dada President Hugo Ball: You will enjoy a personal holiday to celebrate the nothingness in the name of Dada, the psyche and God on 3 June 2016! You will be given a signed certificate, you are invited to the Divine Office and you will receive a hand-drawn portrait of your favourite Dadaist. Dada President André Breton: You will enjoy a personal holiday to celebrate the nothingness in the name of Dada, the psyche and God on 3 June 2016! You will be given a signed certificate, you are invited to the Divine Office and you will receive a hand-drawn portrait of your favourite Dadaist. Dada President Arthur Cravan: You will enjoy a personal holiday to celebrate the nothingness in the name of Dada, the psyche and God on 3 June 2016! You will be given a signed certificate, you are invited to the Divine Office and you will receive a hand-drawn portrait of your favourite Dadaist. Dada President Marcel Duchamp: You will enjoy a personal holiday to celebrate the nothingness in the name of Dada, the psyche and God on 3 June 2016! You will be given a signed certificate, you are invited to the Divine Office and you will receive a hand-drawn portrait of your favourite Dadaist. Dada President Max Ernst: You will enjoy a personal holiday to celebrate the nothingness in the name of Dada, the psyche and God on 3 June 2016! You will be given a signed certificate, you are invited to the Divine Office and you will receive a hand-drawn portrait of your favourite Dadaist. 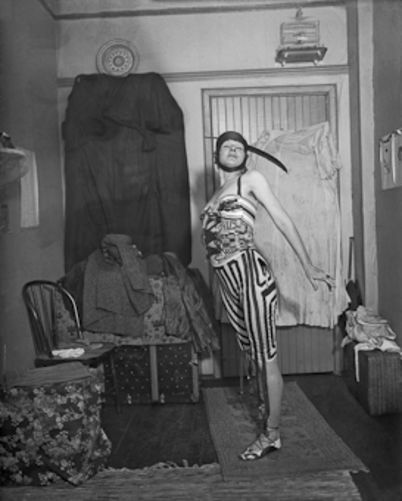 Dada President Elsa von Freytag-Loringhoven: You will enjoy a personal holiday to celebrate the nothingness in the name of Dada, the psyche and God on 3 June 2016! You will be given a signed certificate, you are invited to the Divine Office and you will receive a hand-drawn portrait of your favourite Dadaist. Dada President George Grosz: You will enjoy a personal holiday to celebrate the nothingness in the name of Dada, the psyche and God on 3 June 2016! You will be given a signed certificate, you are invited to the Divine Office and you will receive a hand-drawn portrait of your favourite Dadaist. 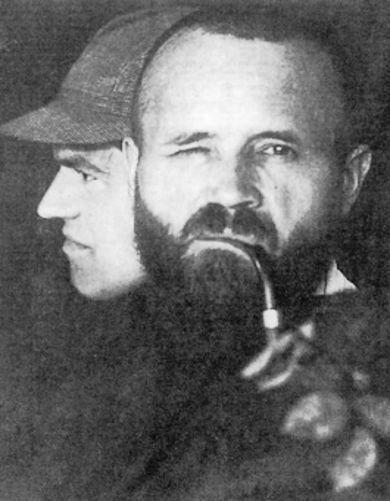 Dada President Raoul Hausmann: You will enjoy a personal holiday to celebrate the nothingness in the name of Dada, the psyche and God on 3 June 2016! You will be given a signed certificate, you are invited to the Divine Office and you will receive a hand-drawn portrait of your favourite Dadaist. 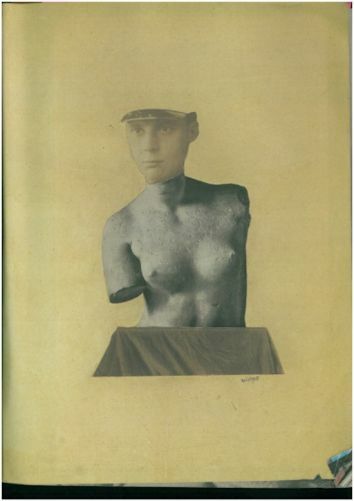 Dada President John Heartfield: You will enjoy a personal holiday to celebrate the nothingness in the name of Dada, the psyche and God on 3 June 2016! You will be given a signed certificate, you are invited to the Divine Office and you will receive a hand-drawn portrait of your favourite Dadaist. Dada President Emmy Hennings: You will enjoy a personal holiday to celebrate the nothingness in the name of Dada, the psyche and God on 3 June 2016! You will be given a signed certificate, you are invited to the Divine Office and you will receive a hand-drawn portrait of your favourite Dadaist. Dada President Hannah Höch: You will enjoy a personal holiday to celebrate the nothingness in the name of Dada, the psyche and God on 3 June 2016! You will be given a signed certificate, you are invited to the Divine Office and you will receive a hand-drawn portrait of your favourite Dadaist. Dada President Richard Huelsenbeck: You will enjoy a personal holiday to celebrate the nothingness in the name of Dada, the psyche and God on 3 June 2016! You will be given a signed certificate, you are invited to the Divine Office and you will receive a hand-drawn portrait of your favourite Dadaist. 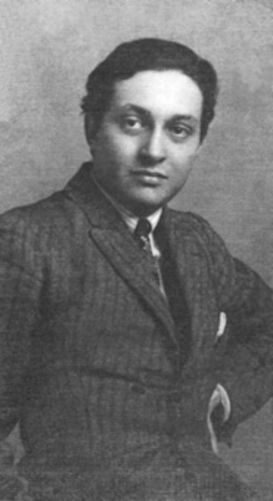 Dada President Marcel Janco: You will enjoy a personal holiday to celebrate the nothingness in the name of Dada, the psyche and God on 3 June 2016! You will be given a signed certificate, you are invited to the Divine Office and you will receive a hand-drawn portrait of your favourite Dadaist. 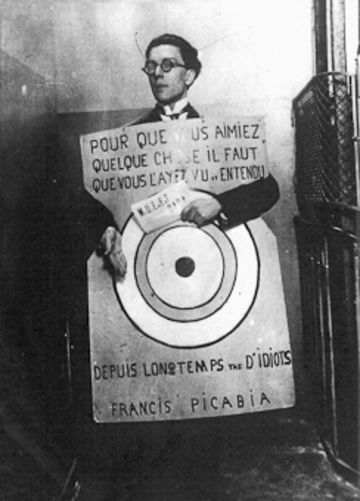 Dada President Francis Picabia: You will enjoy a personal holiday to celebrate the nothingness in the name of Dada, the psyche and God on 3 June 2016! You will be given a signed certificate, you are invited to the Divine Office and you will receive a hand-drawn portrait of your favourite Dadaist. Dada President Man Ray: You will enjoy a personal holiday to celebrate the nothingness in the name of Dada, the psyche and God on 3 June 2016! You will be given a signed certificate, you are invited to the Divine Office and you will receive a hand-drawn portrait of your favourite Dadaist. Dada President Kurt Schwitters: You will enjoy a personal holiday to celebrate the nothingness in the name of Dada, the psyche and God on 3 June 2016! You will be given a signed certificate, you are invited to the Divine Office and you will receive a hand-drawn portrait of your favourite Dadaist. Dada President Walter Serner: You will enjoy a personal holiday to celebrate the nothingness in the name of Dada, the psyche and God on 3 June 2016! You will be given a signed certificate, you are invited to the Divine Office and you will receive a hand-drawn portrait of your favourite Dadaist. 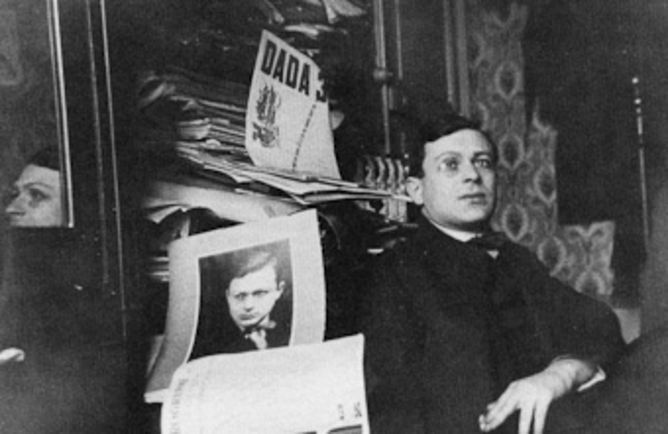 Dada President Tristan Tzara: You will enjoy a personal holiday to celebrate the nothingness in the name of Dada, the psyche and God on 3 June 2016! You will be given a signed certificate, you are invited to the Divine Office and you will receive a hand-drawn portrait of your favourite Dadaist. Our very own Kurt Schwitters will perform for you «die Ursonate» (travel expenses not included). Dada President Michail Bakunin: What a choice – On 30 May 2016 you will be celebrating together with us the day dedicated to you and to Michael Bakunin including a Divine Office and you will be given a certificate as well as a hand-drawn portrait of your Über-Dada. Additionally you will participate in a surprise Bakunin-happening. Überdada Charlie Chaplin: What a choice – On 30 May 2016 you will be celebrating together with us the day dedicated to you and to Charlie Chaplin including a Divine Office and you will be given a certificate as well as a hand-drawn portrait of your Über-Dada. 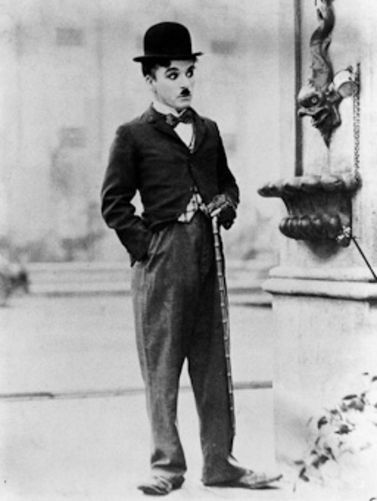 Additionally you will participate in a surprise Chaplin-happening. 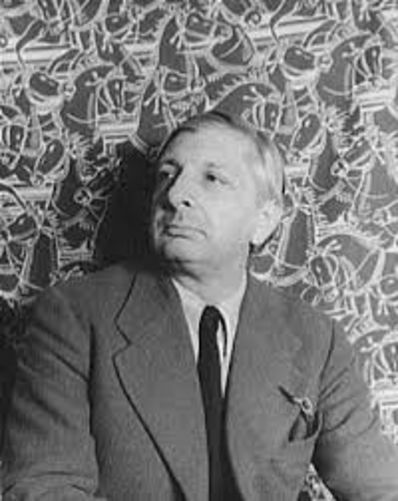 Überdada Giorgio de Chirico: What a choice – On 30 May 2016 you will be celebrating together with us the day dedicated to you and to Giorgio de Chirico including a Divine Office and you will be given a certificate as well as a hand-drawn portrait of your Über-Dada. Additionally you will participate in a surprise de Chirico-happening. Überdada Albert Einstein: What a choice – On 30 May 2016 you will be celebrating together with us the day dedicated to you and to Albert Einstein including a Divine Office and you will be given a certificate as well as a hand-drawn portrait of your Über-Dada. 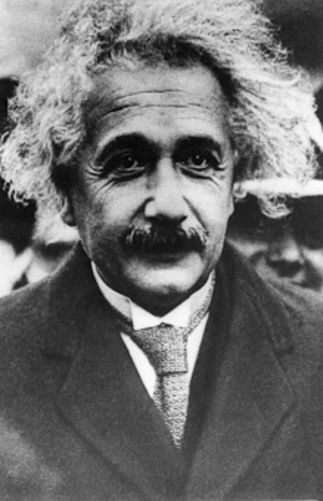 Additionally you will participate in a surprise Einstein-happening. Überdada Sigmund Freud: What a choice – On 30 May 2016 you will be celebrating together with us the day dedicated to you and to Sigmund Freud including a Divine Office and you will be given a certificate as well as a hand-drawn portrait of your Über-Dada. 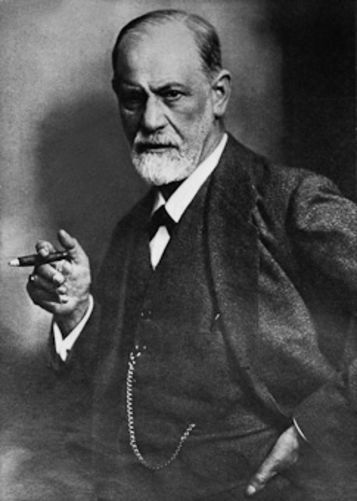 Additionally you will participate in a surprise Freud-happening. 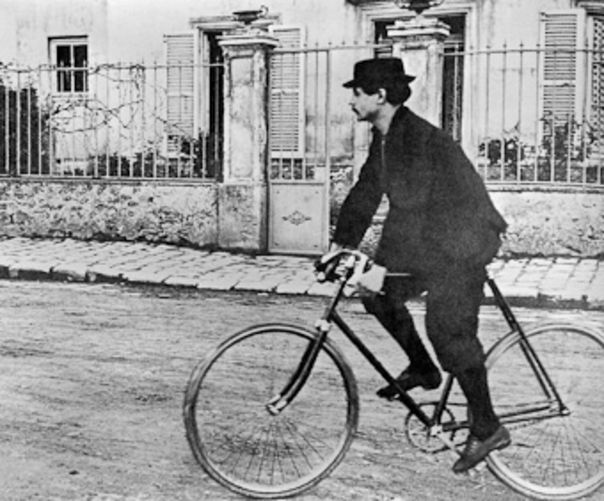 Überdada Alfred Jarry: What a choice – On 30 May 2016 you will be celebrating together with us the day dedicated to you and to Alfred Jarry including a Divine Office and you will be given a certificate as well as a hand-drawn portrait of your Über-Dada. Additionally you will participate in a surprise Jarry-happening. 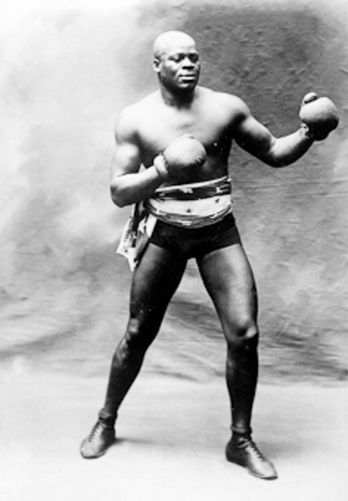 Überdada Jack Johnson: What a choice – On 30 May 2016 you will be celebrating together with us the day dedicated to you and to Jack Johnson including a Divine Office and you will be given a certificate as well as a hand-drawn portrait of your Über-Dada. Additionally you will participate in a surprise Johnson-happening. 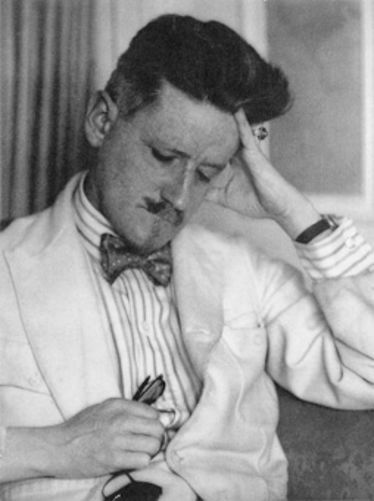 Überdada James Joyce: What a choice – On 16 June 2016 you will be celebrating together with us the day dedicated to you and to James Joyce including a Divine Office and you will be given a certificate as well as a hand-drawn portrait of your Über-Dada. Additionally you will participate in a surprise Joyce-happening. Überdada Carl Gustav Jung: What a choice – On 30 May 2016 you will be celebrating together with us the day dedicated to you and to Carl Gustav Jung including a Divine Office and you will be given a certificate as well as a hand-drawn portrait of your Über-Dada. 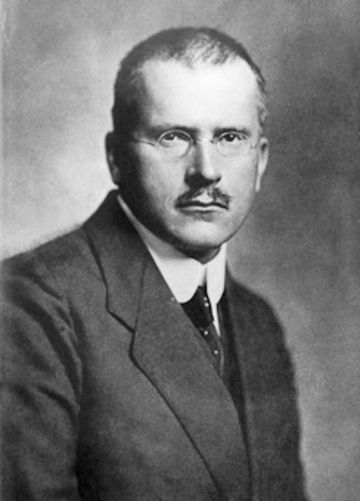 Additionally you will participate in a surprise Gustav Jung-happening. 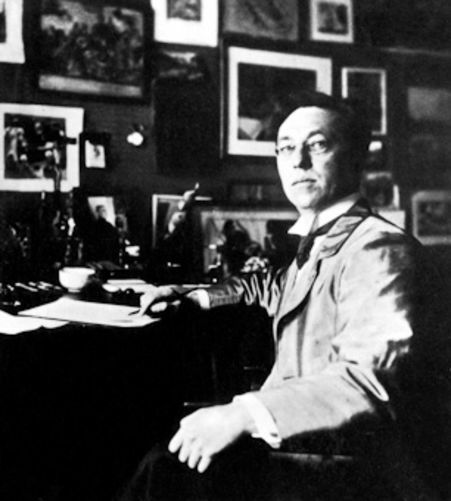 Überdada Vassily Kandinsky: What a choice – On 30 May 2016 you will be celebrating together with us the day dedicated to you and to Vassily Kandinsky including a Divine Office and you will be given a certificate as well as a hand-drawn portrait of your Über-Dada. Additionally you will participate in a surprise Kandinsky-happening. 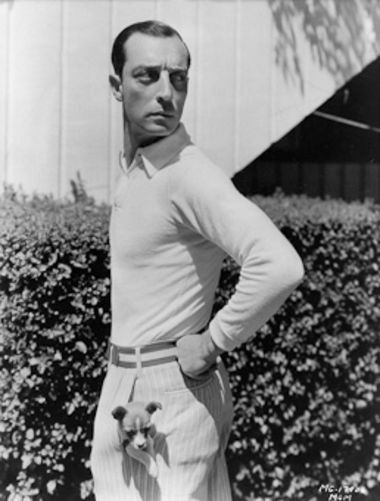 Überdada Buster Keaton: What a choice – On 30 May 2016 you will be celebrating together with us the day dedicated to you and to Buster Keaton including a Divine Office and you will be given a certificate as well as a hand-drawn portrait of your Über-Dada. Additionally you will participate in a surprise Keaton-happening. Überdada Lenin (Wladimir lljitsch Lenin): What a choice – On 30 May 2016 you will be celebrating together with us the day dedicated to you and to Lenin (Wladimir lljitsch Lenin) including a Divine Office and you will be given a certificate as well as a hand-drawn portrait of your Über-Dada. 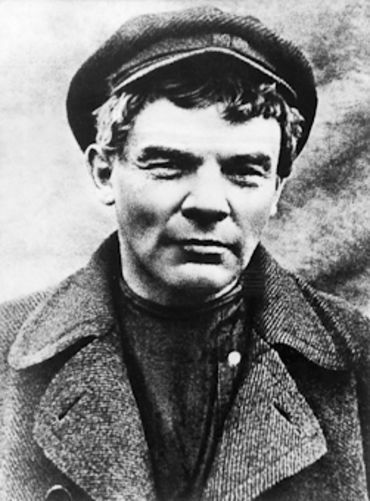 Additionally you will participate in a surprise Lenin-happening. Überdada Filippo Tommaso Marinetti: What a choice – On 30 May 2016 you will be celebrating together with us the day dedicated to you and to Filippo Tommaso Marinetti including a Divine Office and you will be given a certificate as well as a hand-drawn portrait of your Über-Dada. 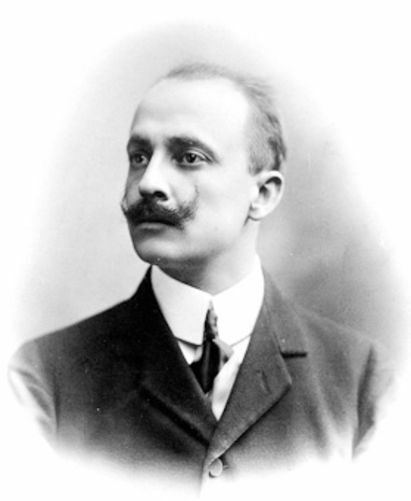 Additionally you will participate in a surprise Marinetti-happening. Überdada Friedrich Wilhelm Nietzsche: What a choice – On 30 May 2016 you will be celebrating together with us the day dedicated to you and to Friedrich Wilhelm Nietzsche including a Divine Office and you will be given a certificate as well as a hand-drawn portrait of your Über-Dada. 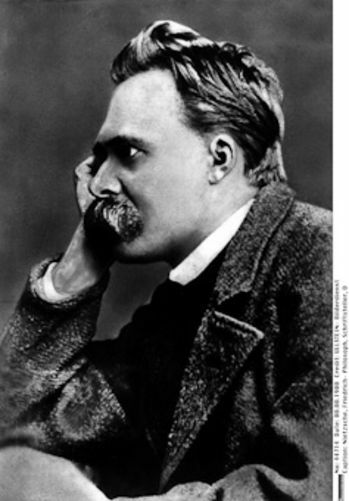 Additionally you will participate in a surprise Nietzsche-happening. 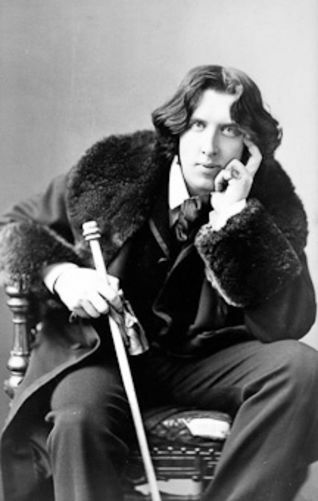 Überdada Oscar Wilde: What a choice – On 30 May 2016 you will be celebrating together with us the day dedicated to you and to Oscar Wilde including a Divine Office and you will be given a certificate as well as a hand-drawn portrait of your Über-Dada. Additionally you will participate in a surprise Wilde-happening. Überdada Voltaire: What a choice – On 30 May 2016 you will be celebrating together with us the day dedicated to you and to Voltaire including a Divine Office and you will be given a certificate as well as a hand-drawn portrait of your Über-Dada. Additionally you will participate in a surprise Voltaire-happening. You are going to experience a 3-day Dada boot camp at a location of your choice for just yourself or a group of friends (limited to 20 participants, excluding travel and hospitality). 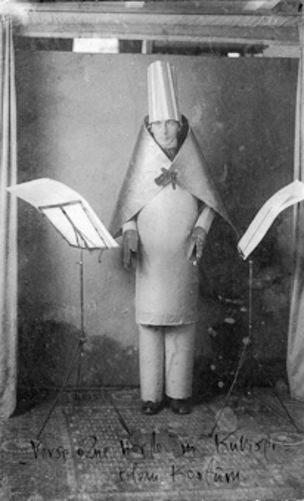 You will undergo the norm of Dada and once accomplished, become one of the few officially trained Dada Soldiers. 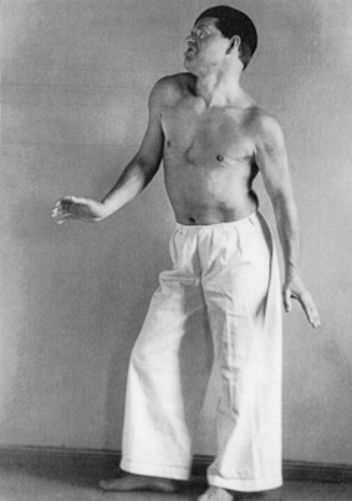 Re-educate yourself, sweat by Dada and for Dada all together. Minimal physical requirement: Sufficient fitness for a 30-minute walk. Adrian Notz startete seine berufliche Karriere 2004 als Assistent beim «Cabaret Voltaire», übernahm 2006 die Co-Direktion und leitet seit 2012 die Geschäfte der Geburtsstätte des Dadaismus.